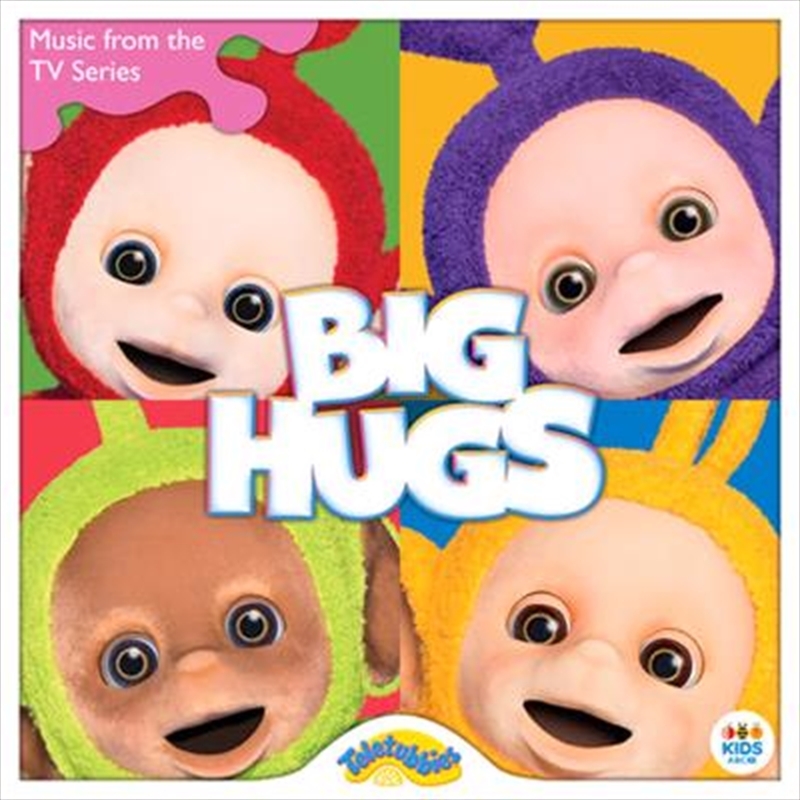 Get ready for “Big Hugs”, with music from seasons 1 & 2 of the new Teletubbies! After nearly ten years, Tinky Winky, Dipsy, Laa-Laa, and Po are back and celebrating their 20th anniversary! The Teletubbies provide a fun and safe world which captures young children’s imagination and encourages them to explore and learn from the world around them through laughter, real children and the power of technology. Combining the charm of the original with a little 21st-century technical magic, the new series also features several new elements and songs to delight the latest generation of Teletubby devotees. “Tiddlytubbies Songtime” introduces Mi-Mi, Daa Daa, Baa, Ping, RuRu, Nin, Duggle Dee and Umby Pumby, the Tiddlytubbies, baby Teletubbies. Take a drive with your friends; the “Tubby Car Song” plays as the Tubbys venture out into TeleTubbyland. “Vroom, vroom! Honk, honk! Sing a song”.